As 4K media player is not as popular as other sort of media player that could support any HD/SD videos but 4K videos, you might need to convert a favorite YouTube 4K movie to the video with lower resolution when you want to play it on your mobile phones, HD TVs, tablets and other portable devices. Also, when you buy a 4K TV, the first thing you want to do might be to convert all your HD/SD videos to 4K videos for streaming them on 4K TV. At this time, you need a professional video converter which is able to convert 4K videos from or to 1080p/720p HD, SD videos. 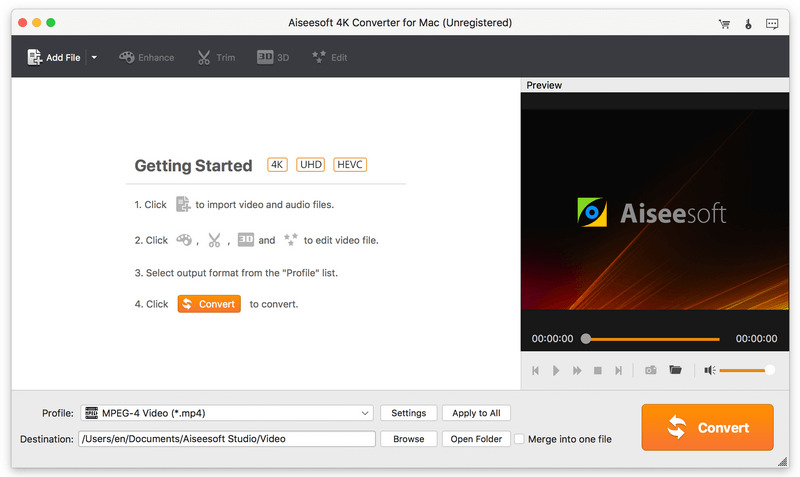 Aiseesoft 4K Converter for Mac is the best option for you.